A project with Anaisa Franco. 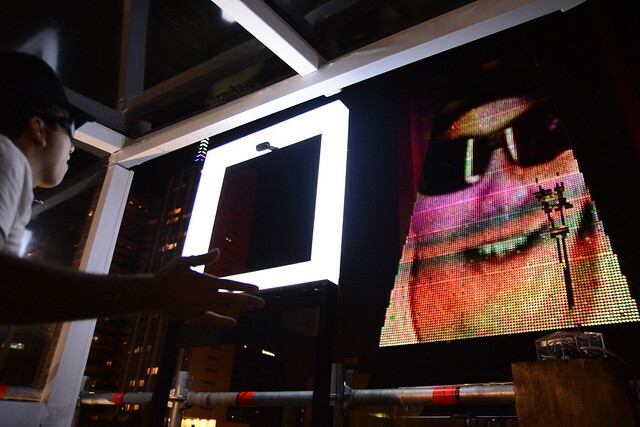 Onirical reflections is an interactive sculpture that uses the face of the user as an architectural landscape which open doors for the face’s senses. 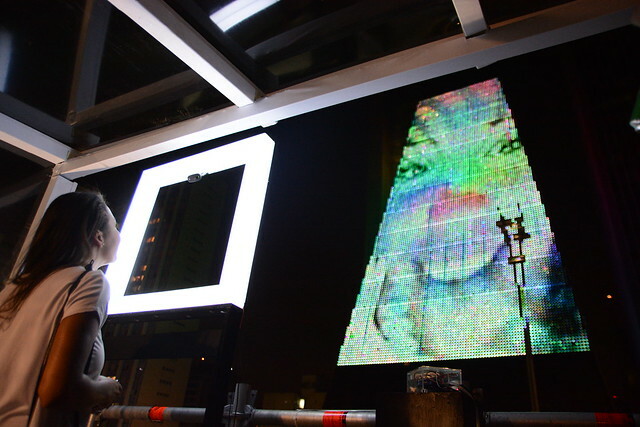 Animations are projected and mapped on the face of the user; who see it throughout the reflected image of a mirror. Was created a software of face tracking to map and display the animations over the face. It uses a computer, a projector, a camera and the mirror. The sculpture is made by wood . It has a mirror of 60 x 60 cm . Inside the box has a macmini computer , a projector and kinect camera. 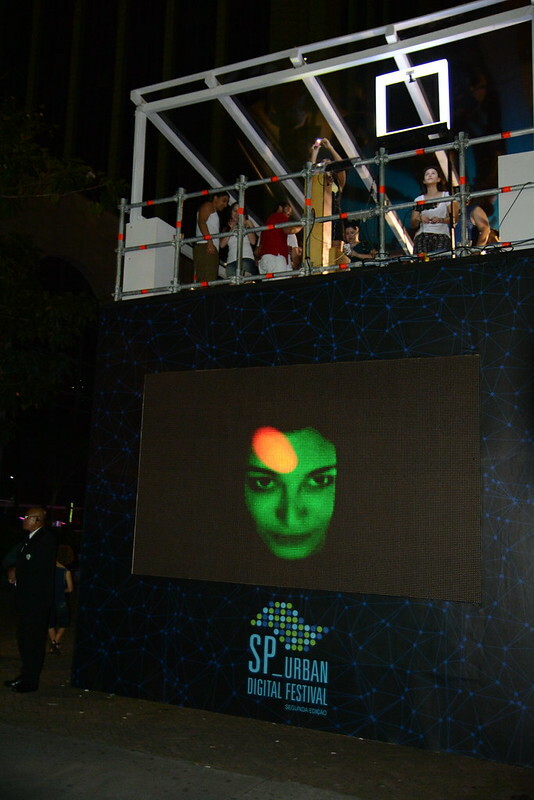 The camera recognizes the face and project over it animations dome with drawings and graphics. If nobody looks to the mirror, it doesnt display any image. And if the person moves the faces in the mirror area, the video tracks the face and project over it. 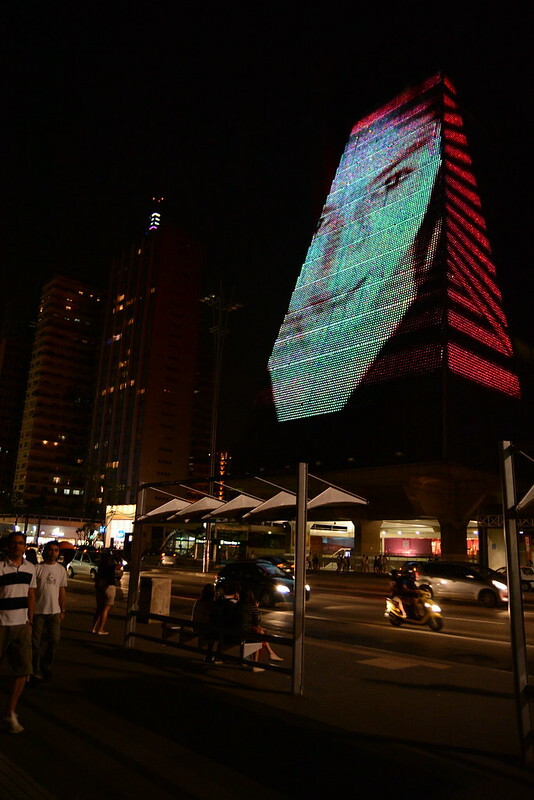 SP_Urban (Sao Paulo, Brazil) from 4th to 28th november 2013. Onirical Reflections has been featured at The Creators Project.